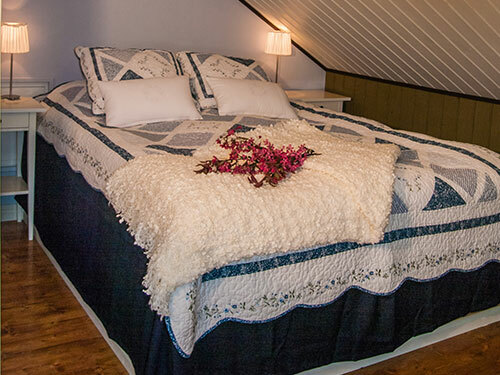 Our B & B is suited on the top floor in the newly renovated farmhouse. 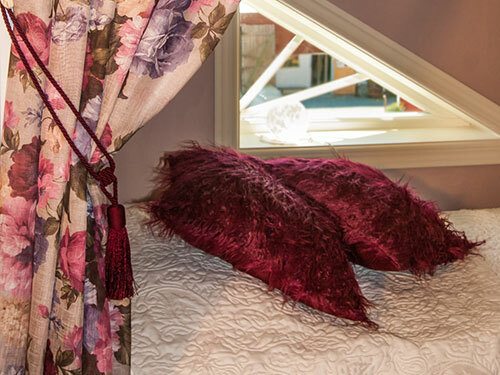 The rooms are decorated with genuine rural style. The walls are painted with egg tempera and the colours are choosen by Milis Ivarsson from Avjord. In the east room the walls are painted in a soft green and in the west room the walls are painted in a cool blue. The east room has a spacious roof terrace. 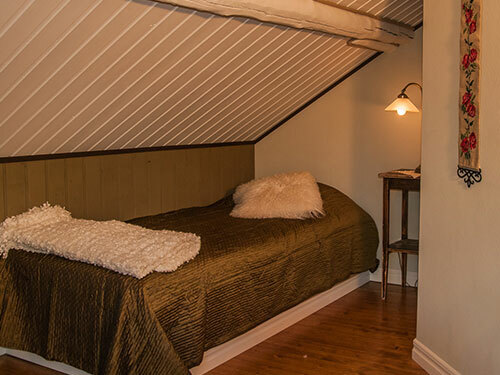 The beds have high quality, are made in Sweden in Kinnahult and is made from natural materials. In each room there is one dubble bed – continental and two single beds. There is a bathroom with shower and toilet in each room. The rooms also have a mini kitchen, Coffey machine, kettle and kitchen supplies for four persons. You can make a cup of Coffee or tea whenever you like. There is a microwawe and toaster in the hall just outside the rooms. TV and free WIFI included. Observe! If you want Breakfast, you must add this in your booking. The rooms have a kitchenette that is equipped for four people. Children price lodging from 2 till 12 years of age and breakfast 5 till 12 years. Rooms that is cancelled later than 24 hours before arrival is charged for the first nights lodging. No pets allowed. No smoking indoors.